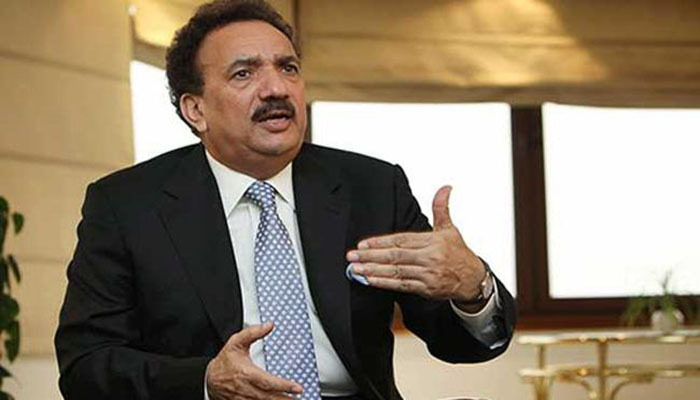 ISLAMABAD: Former interior minister and PPP Senator Rehman Malik has held India responsible for the Mumbai attacks, saying the incident had been engineered to divert world attention from the violation of human rights in Kashmir. Rehman Malik said in a statement that Pakistan played no role in the incident. Referring to Nawaz Sharif’s statement on the incident, Rehman Malik said: "Such a statement implicating Pakistan amounts to backing UN resolution against Hafiz Saeed who was found 'not' involved in this attack." He called upon Nawaz Sharif to withdraw his statement that created a false impression about Pakistan's role. He also advised Nawaz to take a briefing to mark difference between "state actors and non-state actors". He said Nawaz Sharif's statement was totally different from the PPP's point of view on the subject. Another senior PPP leader Qamar Zaman Kaira said the controversial statement of Nawaz Sharif is sorrowful and treacherous. Talking to a private TV channel, Kaira said that Nawaz was trying to fight the key national institutions.